Congrats to Katie & John on their amazing wedding day! The setting for the wedding was so elegant and beautiful at the Oliver Mansion in South Bend. It was so much fun being able to watch the connections and emotion as Katie's Mom helped her getting ready. What a special memory for them! Katie's dress was so beautiful and flowing, it was amazing! This wedding dress detail was gorgeous - full of beautiful floral patters and stunning on the bride! It was great to see John and his Dad sharing time together getting into their tuxedos and preparing for the wedding! 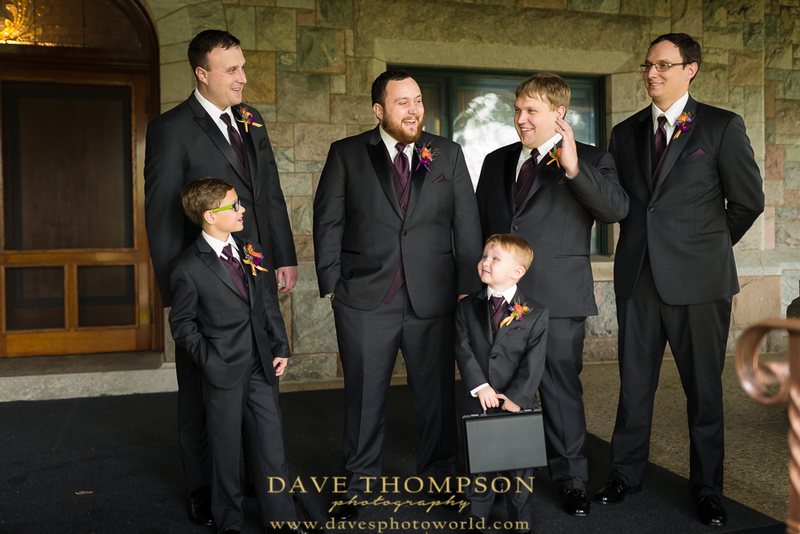 Both of these families were so much fun to work with! I was blown away by the choice of colors for the wedding. The pallet of oranges and purples made for such a stunning boquet. The weather wasn't willing to cooperate with threatening rain most of the day, but we were able to make it work! John and Katie got to see each other for the first time during the first look session. The love between these two was so much fun to witness. A beautiful ceremony outside on the grounds of Oliver Mansion. It was an honor to witness and capture this wonderful celebration of the start to their lives together in marriage. The rain held off through most of the ceremony but started raining near the end - nothing was going to stop these two from getting tying the knot! We were able to shoot inside the Copshaholm Oliver Mansion and I couldn't resist setting up this bride and groom portrait. The lighting, furniture and scene were amazing to highlight the connection between this couple! Another photo taken inside the Oliver Mansion. Bride and groom in an elegant setting. What a fairy tale setting for a wedding! 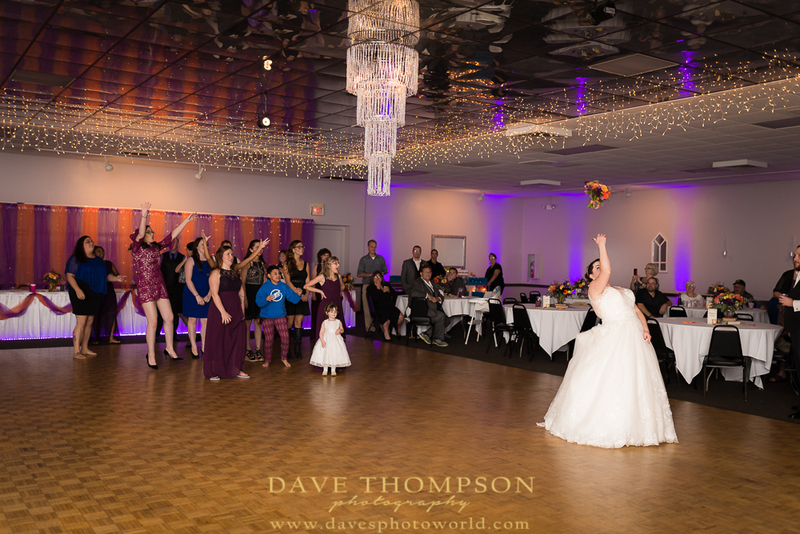 The wedding reception at the Elks in Mishawaka was decorated so elegantly! The colors - amazing! 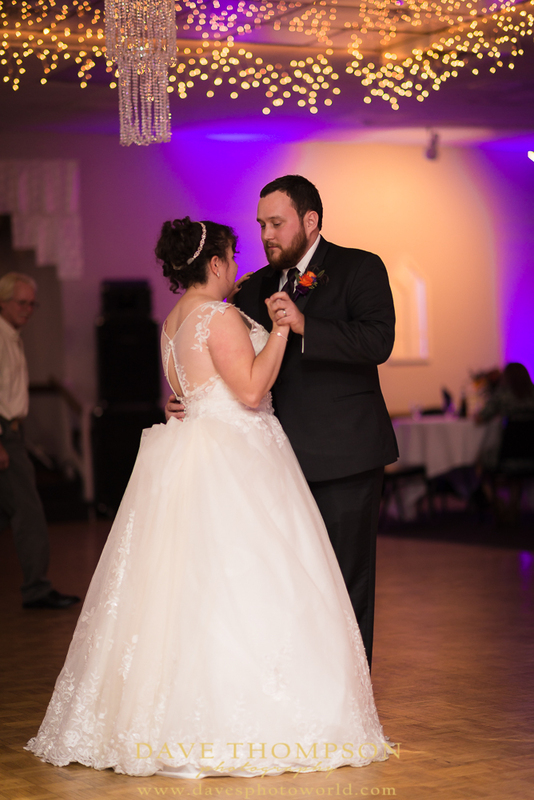 Friends and family made great memories dancing and congratulating the newlyweds. This wedding cake - stunning! Decorated so well, I really hated to see them cut into it! But it was sure fun to see them smash a bit of cake into each other! Katie's Dad wasn't holding back - he surprised the crowd by getting behind the drum set and managing to knock it out of the park by drumming a few songs with the band. What an amazing drummer!